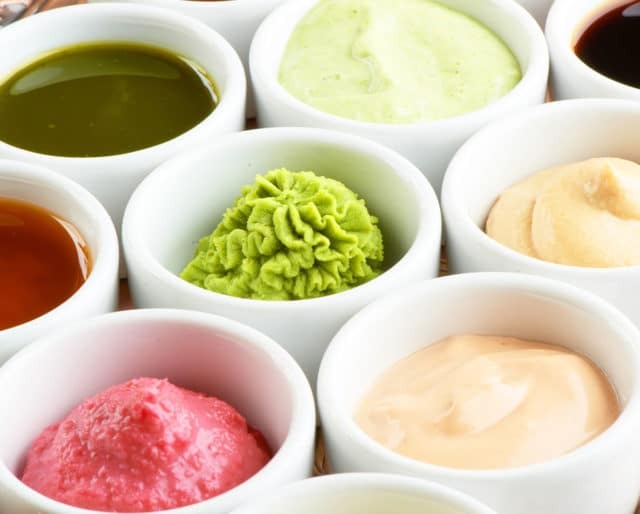 From the creamy mayonnaise to the spicy Tabasco, there’s a sauce for almost every kind of palette. Though they’re an integral part of cuisines around the world today, they were originally invented to mask the freshness of food. Given their importance, it doesn’t come as a surprise that a whole month is dedicated to celebrate sauces. So get saucy with us this March for National Sauce Month! In fact, it's a simple concoction of mayonnaise, mustard, garlic, and onion. By 1912, Nina Hellman, the inventor, is raking in the moolah. Similar in flavor to Espagnole, this was a popular sauce in the 17th century. Romans used sauces, possibly, to mask stale food. Go out of your comfort zone this March and sample a new sauce. Try your friendly neighborhood restaurant, or get your hands dirty in the kitchen. For instance, try making a vodka-cream sauce that pairs well with pasta. Mayonnaise is one of the most popular sauces, today. The creamy sauce isn't just tasty, though. It is good for your hair, too. Made from egg yolks and vinegar, the sauce is actually a pretty good cure for head lice. Try recreating that sauce your mom always used to make when you were young. National Sauce Month can be the perfect excuse to let nostalgia wash you over and reminisce about the good-old days. Did you know hot sauces can aid your metabolism, slow down aging, and even improve your mood? Hot sauces like Tabasco and sriracha are high on capsaicin, which aids the release of endorphins in your body. A bowl of boiled vegetables or a plate of bland greens excited no one, ever. Thankfully, there are sauces to the rescue. Pair your chicken breast with horseradish sauce, which has just 1g of carbs per serving. Or dress your salad in Greek yogurt ranch, which has plenty of protein to aid weight-loss goals. Most sauces can be made at home with commonly found ingredients. And experimenting with sauces is easy, too. Master the five basic types – yogurt based, pepper based, herb based, tahini, and pesto – and play around with them to create your own masterpiece.